This particular film is more for the minimalist in you. Yes it’s a long film, well over 3 hours, and the story line is not very complex, but the cinematography is as spectacular as the acting. An Arthur C Clark short story is famously brought to life by Director Stanley Kubrick, and a computer called Hal. An object, a dark hovering rectangle, gives people the opportunity to explore the past and the future with horrific consequences. Sci Fi. A John B Keane masterpiece is brought together beautiful by two of Ireland’s own, Director Jim Sheridan and actor Richard Harris. Set within the stoney grey fields and cobbled walls, with a backdrop of wanderlust Ireland, it should be an inspiration to both cinematographers and movie buffs. The storyline revolves around the selling and purchase of a field which was always deemed to be bequeath. Stellar performances from Tom Berenger, John Hurt and Sean Bean help magnify the genius of story telling. A must for the Ansel Adams in you and those who love Ireland (See also The Quiet Man). “Sam, play it again”, (wrongly quoted as “Play it again Sam”) and “Here’s looking at you kid”, were the staple diet of many a young film maker for many a year, but this film offers so much more to the photographer which is never really covered. Brassai was one of the first street photographers to use mist and fog to create atmosphere. In Casablanca atmosphere is everything, and having a world war as a back drop must have helped, but the shady characters and the use of dim light or low light to extenuate this is very important. If you want to understand character building with a camera here is your Mecca. A Brazilian biographical modern great, about a boy growing up in the slums of Rio, is shot with both elegance and striking colour depicting the highs and lows of a would be Photographer. The richness of story line and the historical elements add to a cacophony of tone and light heartedness, ultimately leading us to a show down in both reality and fantasy. This is a fast paced thriller based on the ideology of educationally impoverished youth versus a corrupt state. Does anyone ever wins these wars, outside arms dealers? One of the greatest fight scenes in cinematic history, a process involving opening scenes not relevant to storylines, a Hollywood copy (The Magnificent Seven) and a much vaulted storyline, gives this Japanese masterpiece a place in our top ten. The storyline has many hidden gems (Traditional v modern Japan) but is basic in it’s main plot. It involves a town about to be over run asking a poor Samurai for help. He hires six others and they set about teaching the people how to defend themselves against the forty strong foe on their way to destroy them. The Vietnam War, like all wars, was a massive human tragedy, which needed an equally big film to tell at least one small part of the story. In Apocalypse Now you get this, and more. The colours, the noise, the music, the characters all gel together within a salubrious Musical opera to tell the story of one man’s military contract to hunt down and destroy another. There was never going to be an easy ending. The photography is stunning, and the backdrop of Asia and countries bordering Vietnam in the late seventies gives it it’s auntenticity. Couple this with Martin Sheen’s heart attack, Brando holding out for his $1m, the ten years it took to make from script to cinema and the Helicopters being returned on a wild wet Tuesday morning because a Dictator needed them and you have something of character which is rarely if ever equalled. The director’s cut, although longer, is much better however, and explains the French angle and where the dancing girls ended up. Orange sky lovers will love this. The film may focus on an inability to communicate and people’s irreverence to each other during a psychedelic period, but it’s the studio scenes which will interest Photography lovers. Sadly the lead character is short and snappy with the models, but it is part of his inherent boredom with what he is doing which pushes his past the point of patience. You know this through the under cover Photography he is doing and the street stuff. Also with the book he is trying to get printed. Rumours abound Connery was to be the lead actor, but Hemings throws in a master class, so not all was lost. Fashion photographers might enjoy this and street photographers. Either way it’s a photographer’s film. 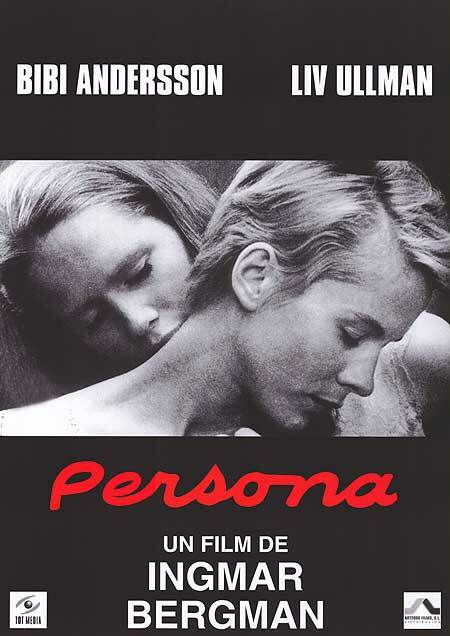 Rarely if ever is female sexuality ever discussed let alone filmed in main stream Cinema, but Bergman was no ordinary Director, and Persona was no ordinary film. Having said this like all his films there is a bit of him in it. Maybe a lot of his childhood. He grew up in a very religious house hold. He was punished by being put in a closet away from the family when he forgot something he was to remember. In a way Persona is about the same person not two people, the same person with, like all of us, two characters inside one body. Through two women it explores this. For photographers it is the expressions the close ups the shadows the light which will inspire you. Italian Director Fellini is the master of the Art House Film, and in 8 1/2 he creates the perfect blend of Art imitating art way before Woody Allen and others took it by storm in the 70’s and 80’s. The film is an Autobiography. He had made 7 1/2 films up to this point thus the whimsical title, however don’t let the name fool you. The point Fellini is making is he has come to a cross roads in his film making. He is now a modern film maker not just an arty one from Southern Europe. He is a global name and as good as any in his field. And through this direction we get the inspiration of great acting cinematography and editing. If you take one thing from this film, it’s to make your art your way. Black and white photography is something of a golden lamb when it comes to street photography, and some fashion work, so if there is a film which will inspire you through it’s cinematography it is this. The underground chase scenes are simply amazing as is the use of light. The shadows on the walls, the shadow work in the streets were brilliant as was the direction and acting. Krasker deserves a lot of credit too, as does Wells, but it was Cotton’s beleaguered character which draws you in. He travels to Europe only to find out his old friend who had promised him a job has been hit by a car and passed away. After visiting the funeral he sets out to find out what happened before he returns to America. What follows is the stuff of post war legend…. Yes, I found the photography and cinematography in The Third Man to be exceptionally excellent. Terrific analysis. Thanks for sharing this. This is an interesting list of films. I love Kubrick and Fellini. I would also add ‘Rear Window’ to this list. Completely agree Robert and a lot of lists add rear window but I think for beginners I just wanted people to understand the basic composition of a photograph. It should be here but maybe for a more advanced photographer. That’s interesting, I hadn’t considered that, but then I’m still a beginner. I have not seen any of these! You need to stay in more:) I am actually annoyed there wasn’t room for something Bollywood or middle eastern there are some great films from there. You have some great movies on your list. My personal favourite would be The Field set here in Ireland. This is a great post which acknowledges the core photographic artistry in filmmaking. One of my previous careers was 20 years as a professional wedding photographer which may sound commercial and mundane, but in essence I was a movie director and storyteller. The way you frame, focus, compose, and edit are common to all image-taking platforms, past and present. It has also given me another dimension through which I can appreciate and write about movies. You sound like a multi talented person. Well done you!